Farm management is essential to a successful farming operation. Helping to lead the American farm’s transition to power farming in the early 20th century, John Deere harnessed the transformative power of technology and science on the farm. It started, in a modern sense, with a department of one person. Dr. Warren E. Taylor, a long-practicing homeopathic physician, was a bit of a Renaissance man who rarely found anything that did not interest him. But he was called to the soil. In 1910, he was tapped to lead Deere’s new scientific approach to farming and farm equipment design. More than a decade earlier, in 1898, Taylor left his 20-year medical practice in Monmouth, Illinois, to take a new position as the first superintendent of a new state hospital in East Moline, Illinois. The hospital was largely self-sufficient and gave Taylor his first taste of agriculture. On site was an operational farm with 33 head of cattle, 12 horses, and 83 hogs. On 45 acres of land grew potatoes, onions, sweet corn, tomatoes, cucumbers, beets, oats, melons, and more. In 1909, after well-earned vacation — he said he hadn’t had one in 12 years —Taylor joined John Deere to spearhead its newly formed Soil Culture Department. He was the department’s lone employee. In his new capacity, Taylor conducted experiments, gave lectures, wrote articles for “The Furrow” magazine and dozens of newspapers and agricultural journals on topics ranging from farm management, top soil conservation, and record keeping on the farm. In 1912 Taylor gave 66 lectures in 15 states, adding a stop in Toronto, Canada. His crowds ranged from 30 to 2,000 at state and county fairs, men’s clubs, teacher conventions, model farmers … to retail merchants, John Deere travelers (salesmen), and schools. Taylor supplemented his speaking engagements with many publications. He wrote the first volume of “Soil Culture and Modern Farm Methods,” a 248-page book published under Deere & Company’s Soil Management department. The book nearly tripled in size by the time its fifth edition was published. 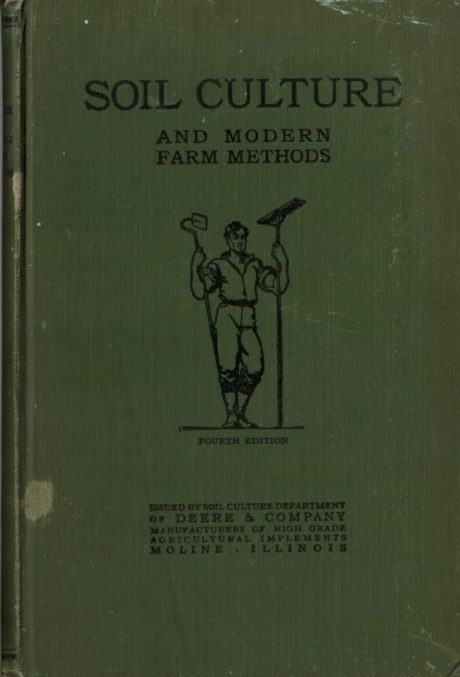 Shorter publications, such as the 24-page “More and Better Corn,” were written to keep customers up to date on the latest farm practices, methods, and equipment. 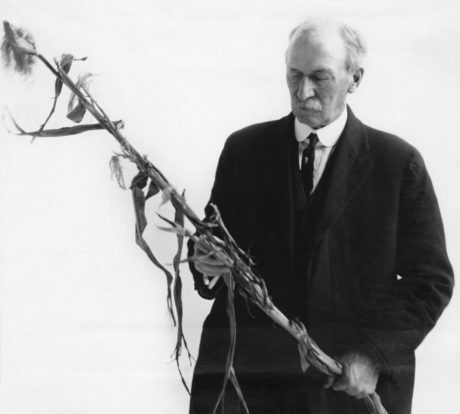 Across his work, Taylor sought to scientifically understand crop conditions throughout the country. He supplemented his data with the work of the United States Department of Agriculture, farm extension programs, and other manufacturers. 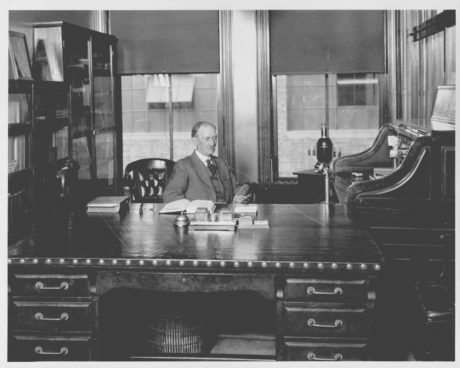 In 1912, he created Deere’s first crop report bureau. That year he analyzed 53 soil samples sent in by farmers from around the United States, responding to each with customized instructions on fertilizer and other crop inputs. John Deere’s first combine, the Number 2, was introduced 13 years later, in 1927.
i. Moline Review Dispatch, September 22, 1899; on experimental farm The Moline Mail, January 26, 1907; “Probably Moline Paper, July 29, 1909, article about population and “expert agriculturist” quote, cited in DA1200; “summer resort...in Peoria Herald Transcript, March 13, 1908; W.E. Taylor, “Meetings Held,” DA1203.